Britlift are able to offer custom lifting beams, custom lifting frames and custom spreader beams, as well as offer adaptations or systems that compliment an existing system. 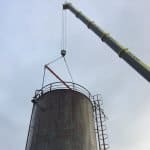 We can design a bespoke solution to for any situation, environment, industry or over come an ongoing lifting headache. Whether it be a lift taking place inside (limited headroom), offshore, subsea, at altitude or in +/- 40 degree temperatures we have the innovation and service to offer a customised solution to fit your needs. Whether it be supplying to the nuclear, offshore, construction or marine industries, whether it be under incredibly short lead times, or whether it be manufacture under high spec conditions/standards (DNV, ABS, ISO, ONR, DEFSTAN, EN1090, etc.) we enjoy a challenge, and enjoy providing our clients with a totally unique service. The title image is of a recent bespoke supply to adapt an existing system to lift in a different way and saving the client tens of thousands of pounds by not needing a whole new system. The supply was for 6 off 100kg lifting beams with a clamping system to provide a secure connection to the existing system. All beams were supplied (as standard) with DoC, inspection and test (2x WLL) certificates, as well as a clear and detailed user instruction. 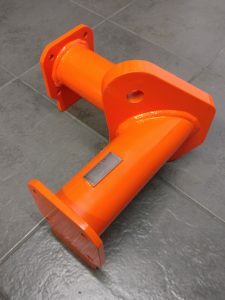 The below image is an example of a supply which took an existing, and standard, system and customised it to suit a different lifting requirement. 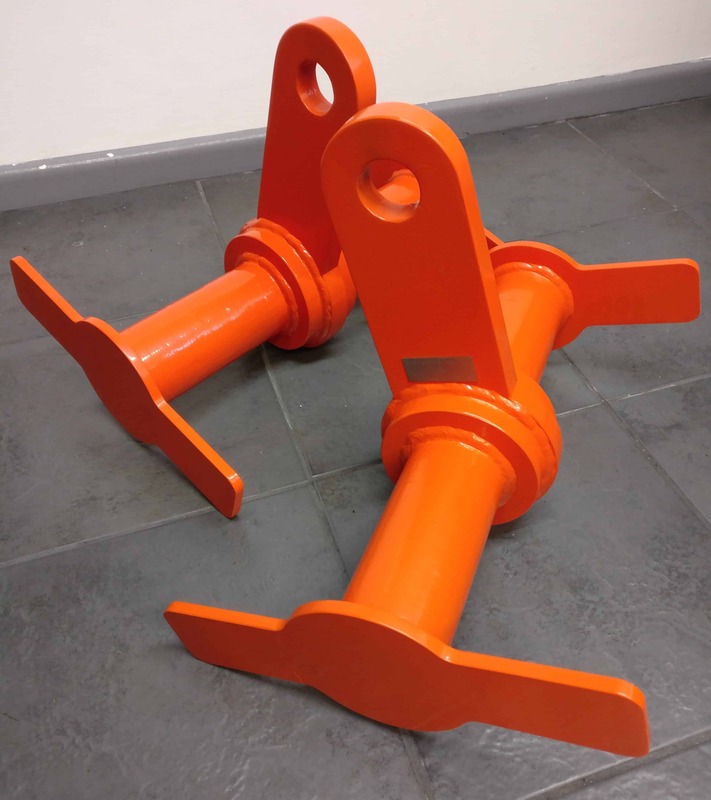 These are a pair of custom 24 tonne trunnion end links to be used with a standard modular spreader beam. 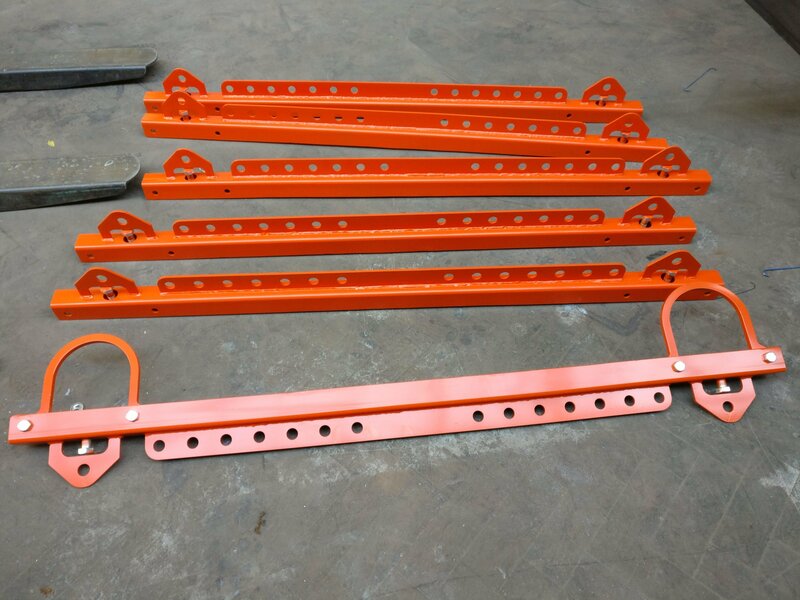 Another example of our customisation of spreader beams is the below corner pieces. This supply allowed a modular construction company to be able to lift their 10 different sized pods using the one system. The supply was fully CE marked and tested, and came with clear and detailed user instructions ensuring correct use and safe practice. What ever your need, custom or standard, lifting beam, frame or spreader beam, we are here to help, advise, design and manufacture. We can even attend site to oversee onsite testing or to review existing systems, offer our expertise and design a system, or modify an existing system, to fit a new lifting requirement. We can also supply associated equipment such as shackles, wire rope, chains, Dyneema, load cells, load links, load shackles, skidding equipment, and much more. Contact us with the details of your lift and we will work with you to supply exactly what you need. 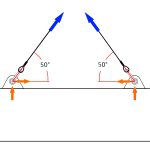 Why Is The Force In An Angled Sling Greater?